The U.S. Department of Veterans Affairs (VA) and IBM Watson Health said they have extended their two-year-old precision oncology partnership, designed to help interpret cancer data in the treatment of veterans through artificial intelligence (AI). Launched in June 2016 as part of the National Cancer Moonshot Initiative, the partnership has enabled VA oncologists to support treatment decisions for more than 2,700 Veterans with cancer by applying IBM Watson for Genomics technology, the partners said. The partnership extension with IBM will enable VA oncologists to continue using Watson for Genomics through at least June 2019. The VA's precision oncology program primarily supports stage 4 cancer patients who have exhausted other treatment options. The VA runs the largest integrated health system in the U.S. and treats 3.5% of the nation's cancer patients—the largest group of cancer patients within any one health-care group, according to the department. 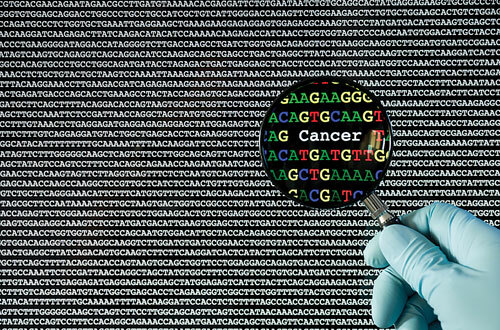 Under the partnership, the VA established a central “hub” in Durham, NC, where oncologists and pathologists receive tumor samples from patients nationwide, to sequence the tumor DNA. They then apply AI using IBM Watson to identify relevant mutations, as well as potential therapeutic options that target those mutations. According to the VA, more than one-third of patients who have benefited from the precision oncology program are veterans from rural areas, and thus less likely to have access to advanced medical technologies. The VA’s precision oncology program began in 2015 when the department’s New England Healthcare System (VISN 1) and the Massachusetts Veterans Epidemiology Research and Information Center launched a regional initiative designed to help veterans who had been newly diagnosed with non-small cell lung center.